The streets of Prague, Czech Republic seemed deserted when we drove into the Historic Centre of Prague, a UNESCO World Heritage Site. As soon as we found out where exactly we were, we parked our car and tried to put coins into the parking meter. Unfortunately, it didn't seem to work. Knowing the heavy fines one could face in Europe for unpaid parking, we made sure to ask around. After anxiously asking help from everyone we saw, someone finally told us it was a holiday and parking is free on holidays. Struggle for Freedom and Democracy Day (Den boje za svobodu a demokracii) is a public holiday that commemorates the student demonstrations of 1939 and 1989, against Nazi occupation and which sparked the Velvet Revolution respectively. According to UNESCO, "The Historic Centre represents a supreme manifestation of Medieval urbanism (the New Town of Emperor Charles IV built as the New Jerusalem). The Prague architectural works of the Gothic Period (14th and 15th centuries), of the High Baroque of the 1st half of the 18th century and of the rising modernism after the year 1900, influenced the development of Central Europe, perhaps even all European architecture. 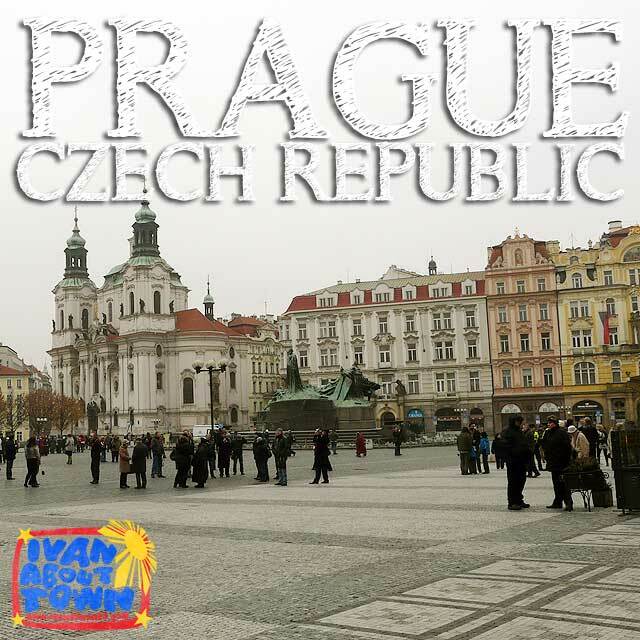 Prague represents one of the most prominent world centres of creative life in the field of urbanism and architecture across generations, human mentality and beliefs." Like the previous day in Vienna, the day was cold. 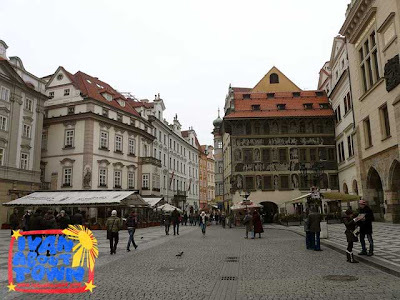 We made our way to the Old Town Square (Staroměstské náměstí), the heart of Prague's Old Town (Staré Město). 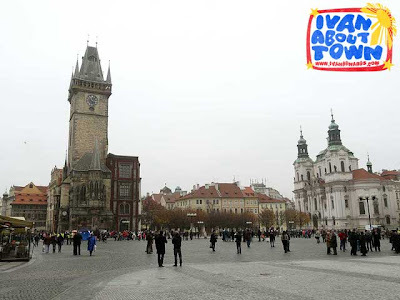 Among the beautiful buildings and monuments you will see around the square are the Týn Church or Church of Mother of God before Týn (Kostel Matky Boží před Týnem), St. Nicholas Church, Jan Hus Memorial, the Astronomical Clock (Pražský orloj) and the Old Town Hall among many others. I didn't realize that Danish astronomer Tycho Brahe was buried in the Týn Church. So I missed looking for his grave marker while we were there. The Astronomical Clock was built in 1410, making it the oldest one in the world that is still working. We actually waited for the hourly Walk of the Apostles, which features figures of the apostles and other moving sculptures. 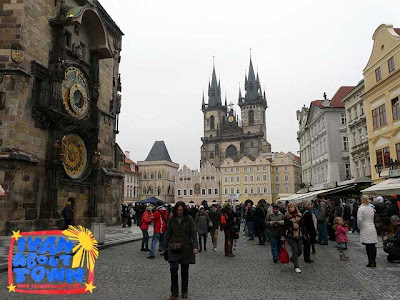 Prague celebrated the 600th anniversary of the clock in 2010. From Old Town Square, we walked the direction of Wenceslas Square (Václavské náměstí) which is the center of Prague's New Town (Nové město). 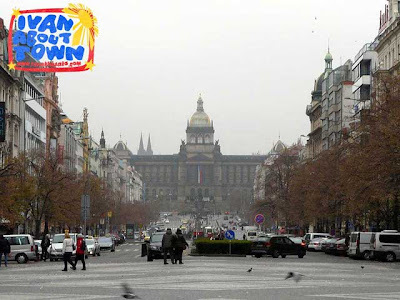 At one end of the square is the elegant main building of the National Museum (Národní muzeum). We actually had a quick lunch at one of the sausage stalls which are aplenty around the square. I had to try out the Václavská klobása v rohlíku (Wenceslas's sausage on a roll) and Bavorská klobása v rohlíku (Bavarian sausage on a roll). 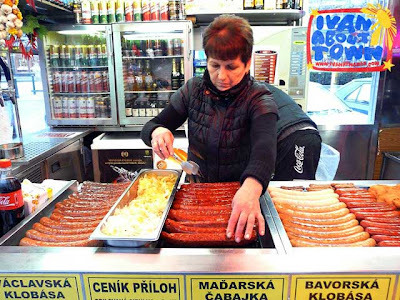 Also available was the Madarska čabajka (Hungarian pepperoni). 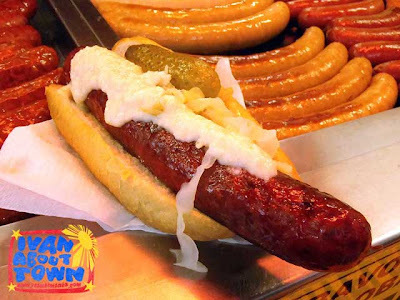 Condiments include sauerkraut, horseradish and pickles which would cost you more though. 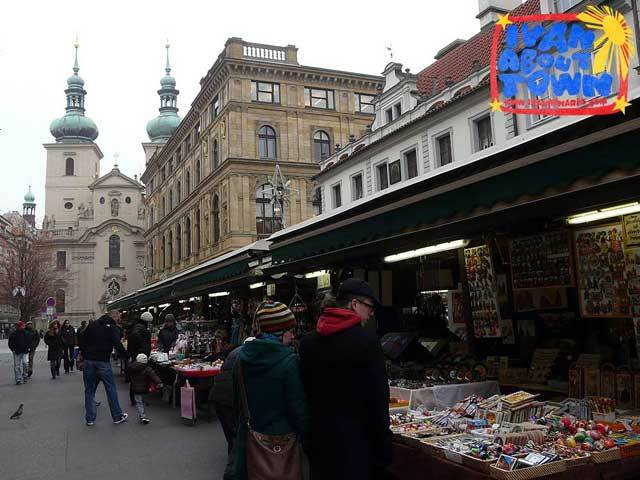 On the way back to our car, we made sure to walk around the street market near the square. Time was running out since we had to be in Paris the next morning! 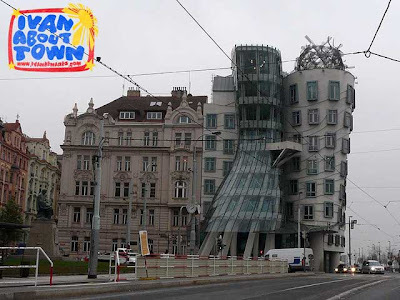 As we drove out of New Town, we saw the Nationale-Nederlanden Building, more popularly known as the Dancing House (Tančící dům) or Ginger and Fred. The deconstructivist building was designed by Vlado Milunić in cooperation with Frank Gehry. Before leaving Prague, we passed by the Lesser Town (Malá Strana) to visit the Church of Our Lady Victorious (Kostel Panny Marie Vítězné), home of the Infant Jesus of Prague whose devotion is quite popular in the Philippines. 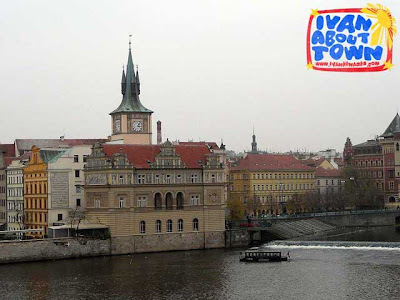 We ended up walking up to the Charles Bridge (Karlův most) and across the Vltava (Moldau) River. 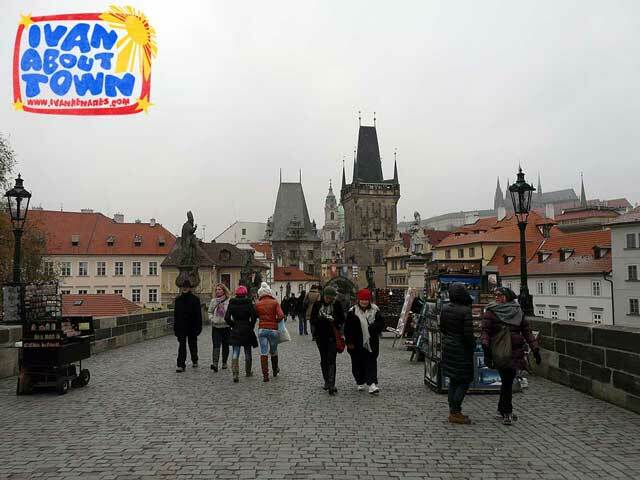 The bridge features statues of several saints venerated at the time it was built. 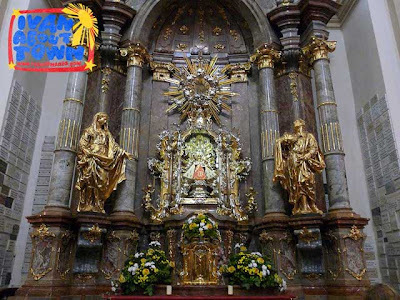 The most famous statue is that of St. John of Nepomuk, the national saint of the Czech Republic, who was drowned in the Vltava. 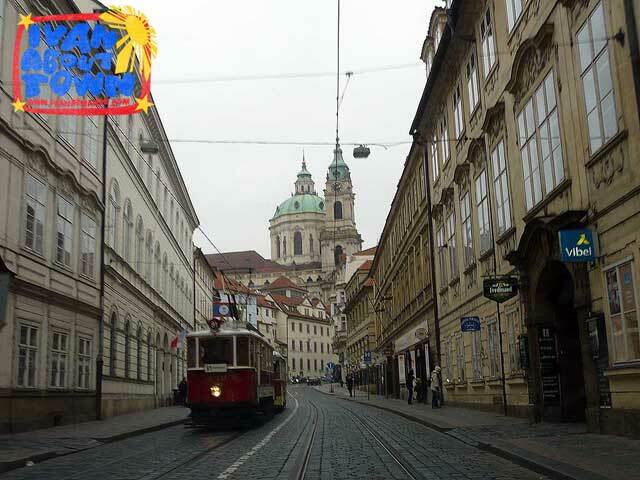 People rub the base in the belief that it brings good fortune and that one will return to Prague as a result. See more photos of Prague, Czech Republic in the Ivan About Town Facebook page. 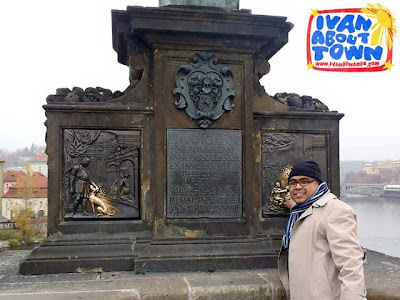 I was also able to visit the Shrine of the Most Holy Infant Jesus of Prague but that was way back in 2009. Our family has a devotion to it, and actually had three statues made in San Fernando before (they resemble my uncles! haha). Splenda is the healthy sweet! SunLife Sun Shorts: So how do you deal with debt?